Whether you are new to Pilates or not, our 50 minute Introduction classes are a must for those visiting CGM Pilates for the first time. Covering the foundations of Pilates and introducing the Allegro II Reformer we make sure that you are equipped with all of the skills you'll need to participate in our faster paced Open Reformer classes. Capped to just 5 students, you'll cover the foundations of Pilates in a safe, small group environment. 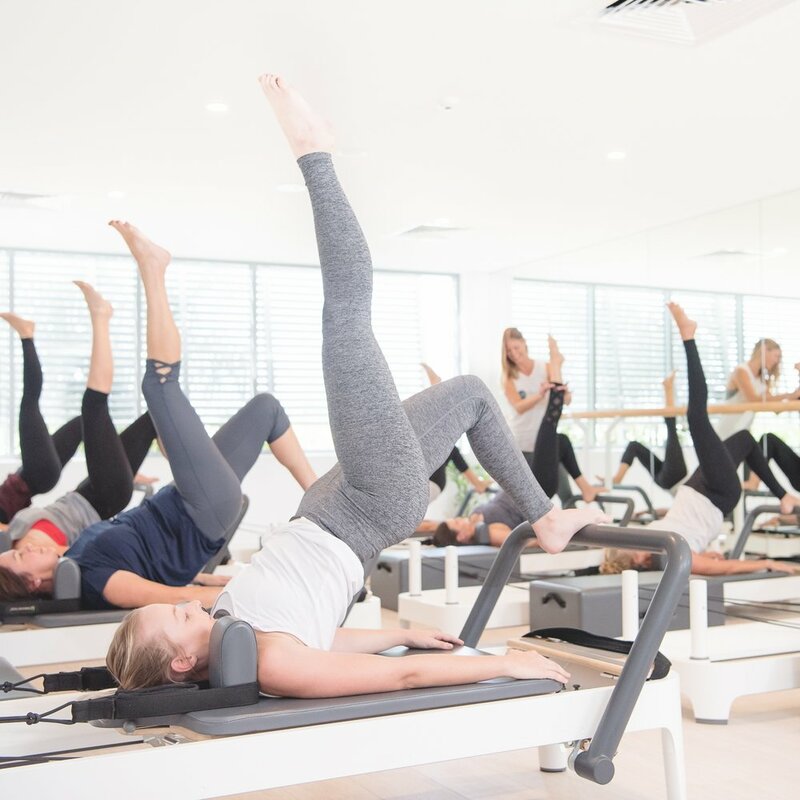 CGM Open Pilates reformer classes offer a combination of traditional and contemporary Pilates exercises performed on spring resistance Pilates reformer machines. Our 50 minute reformer classes are designed to give your body a complete workout with the focus on core strengthening exercises to help improve posture, increase flexibility and improve mobility. Attentive guidance from your instructor is provided and all skill levels are accommodated. As our open group classes are fast paced they are most suitable for those without injuries. We recommend private sessions to accommodate injury rehabilitation or those wanting guidance towards specific goals. CGM Pilates mat classes will teach you ultimate control of your body. Our 50 minute classes focus on traditional Pilates floor work and incorporate a range of small props, such as magic circles and resistance bands. Precision is encouraged to challenge your body and your mind to focus on building a strong and stable core. Through regular participation you will enjoy improved co-ordination, posture, strength, flexibility and overall increased mobility. No need to bring a mat, we are pleased to provide you with one of our legendary Manduka pro mats to enjoy during your class. These eco friendly mats are 100% latex free. 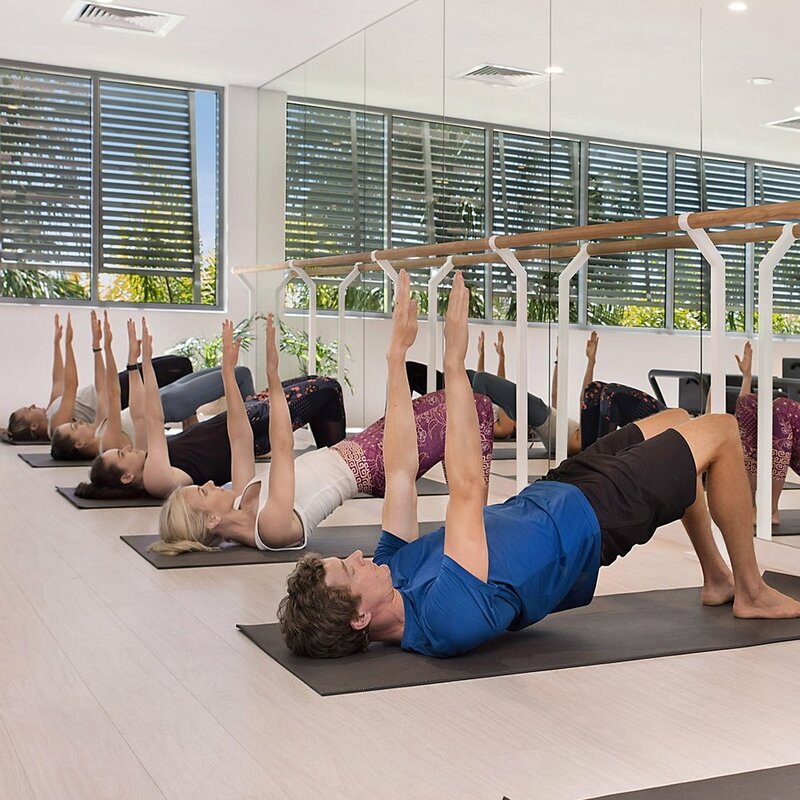 CGM Pilates Barre classes incorporate Pilates, classical ballet and functional movement, resulting in a dynamic fitness class. During this 50 minute barre class your instructor will encourage correct alignment to improve core, and ultimately postural strength. No previous dance experience is required and all fitness levels are welcome. Our group Barre classes are best suited to those without injuries. The jump board is used in addition to the Pilates reformer to create a dynamic 50 minute workout. Traditional Pilates exercises paired with interval jumping will increase your heart rate, which is optimal for burning calories, building lean muscle and improved cardiovascular fitness. The spring resistance and padded jump board help to reduce impact on your joints. We require you to attend a minimum of 20 Open Reformer classes before participating in this class. Jump reformer is not suitable for those with injuries, heart conditions or during pregnancy. CGM stretch class is a relaxing 30 minute class designed to focus on stretching and lengthening your body. With the aid of the spring resistance reformer, foam rollers and other small props you will stretch out any sore or tired muscles and enjoy the benefits of improved flexibility. For the perfect start to your weekend we recommend you combine this 30 minute class with a traditional reformer class.